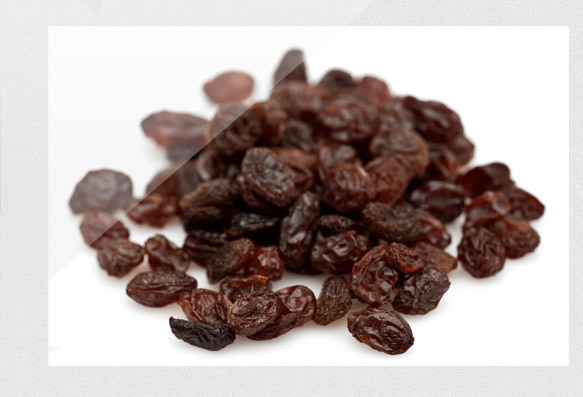 Raisins are dried grapes and are produced in many parts of the world. As they are dried most of the nutrients are retained with the exception of some of the Vitamin C which is degrades very quickly without drying. Traditionally grapes are air or sun dried to produce raisins but drying technologies now cater for the massive volume of the fruit that is required to meet demand. As food source they are sold under multiple names, raisins, sultanas and currants. They are all varieties of the same fruit, differing in size and colour.